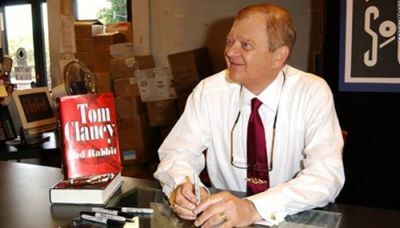 Famous writer Tom Clancy died in hospital in Baltimore at the age of 66. Clancy is known around the world as a renowned author of numerous spy novels and military themes, as well as co-founder of the development house Red Storm Entertainment, which is since the 1996 under the auspices of Ubisoft. Splinter Cell, Ghost Recon, HAWX and Rainbow Six are just some of the famous franchise, which are based on the works of Tom Clancy. From Ubisoft say that Clancy was truly remarkable and unique author, and are extremely grateful and honored to have had the opportunity to collaborate with him. They also say that they are proud that his legacy will live on, even through their future projects that are currently in the pipeline. We must mention one of the most anticipated titles that will arrive in the near future that bears the name of this genius, Tom Clancy's The Division, which is expected late next year on the PC and consoles. Without Tom Clancy worlds of gaming and literature would never be the same, and because of that we are beyond grateful for his work.